10 important lessons to get your head around. You’re neither a farmer? Nor a harvester? You reckon? How do we know? Because between us, we’ve either seen it or been there. A friend of ours, (we’ll call him Steve) set up his own professional services business a few years ago. A qualified and experienced accountant from big industry, he did all the right things, like learning about company structures, HMRC, VAT, in fact all the dull stuff you just have to do when starting to work for yourself (it’s a different world from the corporate bubble). He designed a business plan, marketing plan, cashflow forecast and a list of customer targets, including a network from his little black book of people who could help him on his journey. Within 2 months, he was invoicing, and at good rates too. Things snowballed and within 12 months, he was billing more than £90,000 from his back bedroom! Life was good! He’d hit on a few sustainable, lucrative contracts and long-term clients who valued his services and were more than happy to pay on time, too. This was just TOO easy! What followed was the fancy car and all the trappings of success. OK, he was working 6 days a week, but the rewards were evident. Mrs Steve was really pleased and the kids could have all the luxuries they’d missed out on before when he earned around a third of that amount. What’s more, working from home or at clients’ premises, his costs were low (a must when you’re starting out – only buy what you need) and profit margins were enviable. Well, here’s the salutary lesson…Steve was something of a victim of his own success. Because his ‘strike-rate’ was so good (he was a very persuasive character and added true value to his clients), he earned lots, quickly. His clients couldn’t get enough of him. He was the guru! They hung on his every word, heaping praise and £££’s on him. After about 5 years, the economy took a bit of a downturn and this coincided with the onset of his complacency and, dare we say, boredom. Life and fees were just too easy! One by one, his clients started to notice he’d lost a bit of his edge. The simple fact of the matter was, his hunger was no longer as raging…and neither, for that matter, was his delivery. In the intervening time, he’d also grown bored or complacent in terms of the people he was prepared to meet or the enquiries he was prepared to follow up. He stopped turning up to important events and the truth is, as great as you think you might be, people have short memories and if you fall off a ‘scene’ you’re no longer at the forefront of people’s minds. In Steve’s case, having once been THE go-to man for financial & business management advice, people thought he’d either taken early retirement or sold up and gone to live abroad! And there were plenty of young pretenders waiting to take his hard-earned crown. Therein lies another major point; gaining a crown is one thing…holding onto it is another thing entirely. Bit by bit, Steve’s client base eroded until one day, when his life seemed to be going from bad to worse, his last (yet still lucrative client) called it a day and retired, leaving Steve high and dry. For the next 2 years, he blamed everything and everyone except himself – even to the point of blaming the kids for being so demanding and applying such pressure for fancy holidays and the latest trainers. He had little choice but to take a job back in the industry he left, feeling a failure. We’ll tell you what happened next in a future blog (hint: it has a happy ending). What had he done that was so wrong? There’s always someone faster, quicker or cheaper than you, so stay on your toes and stay relevant. Always look after your life-support system; this means family, friends and close associates. Keep your professional development up to date and apply new learning. In short, stay at the top of your game and one step ahead of your clients and competitors. Keep your networks active and recruit a mentor / or mentors you can share experiences with. When you’re busy harvesting (delivering) make sure you make time to farm (develop & nurture) your business. You created it, it needs sustenance and nourishment. And if you do fail, fast fast and fail cheap. Reflect on what you learn – as a habit. Learn from others and be quick to adapt. Enjoy it! Stop when the fun stops! We hope you’ve enjoyed reading our thoughts. If we can help you with your startup or small business, do get in touch and we’ll help wherever we can. You can call us on 0121 516 0330. 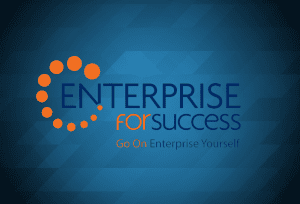 Follow us on Twitter @Ent4Success or contact us through the website. For start-ups, we offer FREE 2-day business planning courses if you’re based in, or planning to operate from Staffordshire, Worcestershire or Solihull. Go to https://www.eventbrite.co.uk/d/united-kingdom/enterprise-for-success/?mode=search for events in 2017.